Rudy Williams Associates has been affiliated with Kingsbury, Inc. for over 30 years. Alfred Kingsbury invented the now familiar six-shoe thrust bearing nearly a century ago. The products that bear his name have earned an unprecedented record of long-term reliability and are a model of excellence the rest of the industry can follow. 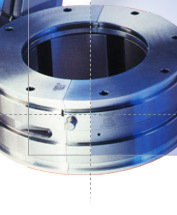 As Canadian Dealers for Kingsbury thrust and journal bearings, we are a full service organization involved in all aspects of bearing applications. As Authorized Repair for Kingsbury bearings, our expertise includes the repair of fluid-film babbitted bearings of any make or size. We provide expert rebabbitting as part of an overall program that consider every aspect of bearing performance, to ensure that the same need won?t arise again. 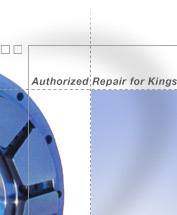 We can supply replacement bearing assemblies, and/or components for all Kingsbury products.